Anyone who knows the feeling of pushing boundaries also understands that a great pint tastes best when you’ve earned it. For Al Read and Nigel Tiddy, their love of the outdoors was always balanced by the beer they enjoyed at the end of each day. That’s exactly what led the two former RAF pilots into the world of hops and grains. The name was inspired by the windswept beaches here in Lossiemouth on the Moray coast where like-minded adventurers gather to pursue their outdoor passions whatever the weather. Al and Nigel felt strongly that the brand should capture the spirit of rugged adventure found here on the edge of the Scottish Highlands. After all, a great pint tastes best when you’ve earned it. Work started on the brewery in the autumn of 2012. 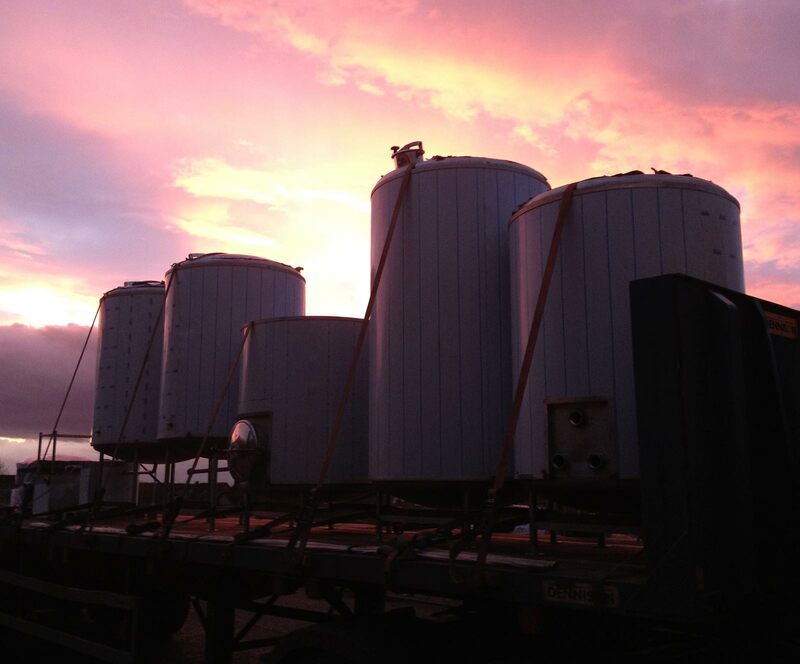 Once the groundwork was complete we took delivery of our brewing vessels from Oban Ales of Fort William. By the end of November we had employed a brewer and brewed our first beer, the 5% APA, affectionately known to us as the “accidental” pale ale. Why? The new brew kit was much more efficient than our small scale trials to date so what had been intended to be a recipe for the Blonde evolved in to the APA. This was the year we found our feet and really launched Windswept Brewing Co in to the world. We brewed beer and sold it, all very new things to us. People wanted more so we brewed more adding BLONDE and TORNADO to the range. 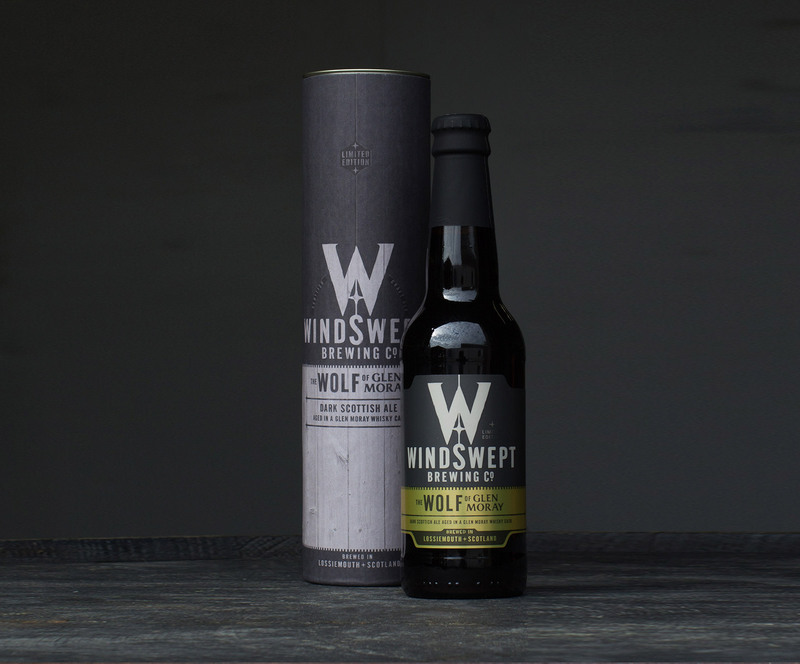 It was also the year that we produced 516 bottles of our first barrel aged beer THE WOLF OF GLEN MORAY. We were thrilled to receive our first awards this year: Our first award was from rateBeer – Best New Brewer in Scotland, closely followed by two SIBA (Society of Independent Brewers) Regional Gold Medals for APA and WOLF. Less than two years from the birth of the brewery, we needed to expand to keep up with the demand. In July 2014 we moved the chiller, office and shop out of the brew-house to make way for two new fermenters. Little did we know it would be just another two years before we had to expand again. This was the year we ventured in to exporting our beers and recruited a dedicated Export Manager. We completed our first export order to Andorra in September 2014 closely followed by orders to Germany and Belgium. Our core range of beers had now grown to six with the addition of WEIZEN and TYPHOON. 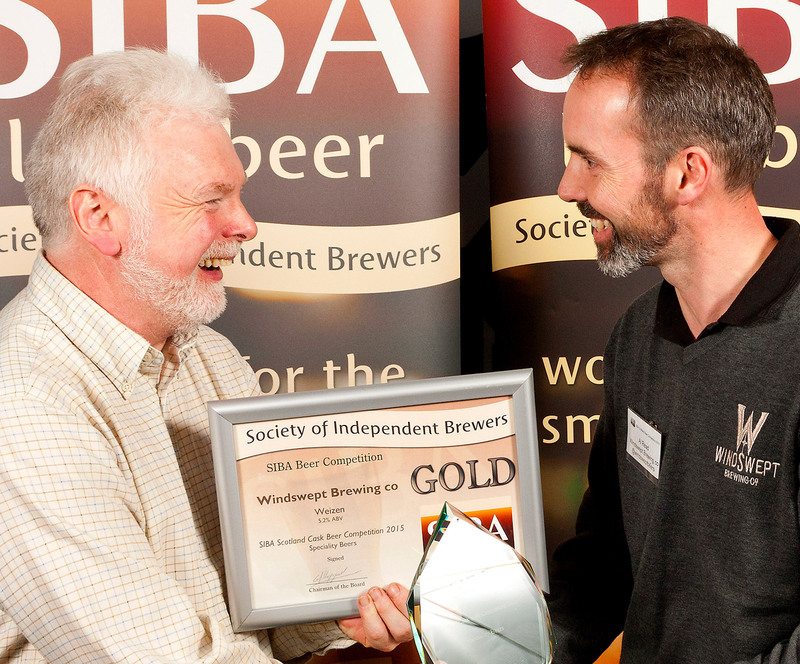 SIBA award success continued at the National Beer Competition in March when APA took a bronze in the Strong Bitters (cask) category and again in November with silver awards for WEIZEN and THE WOLF OF GLEN MORAY. 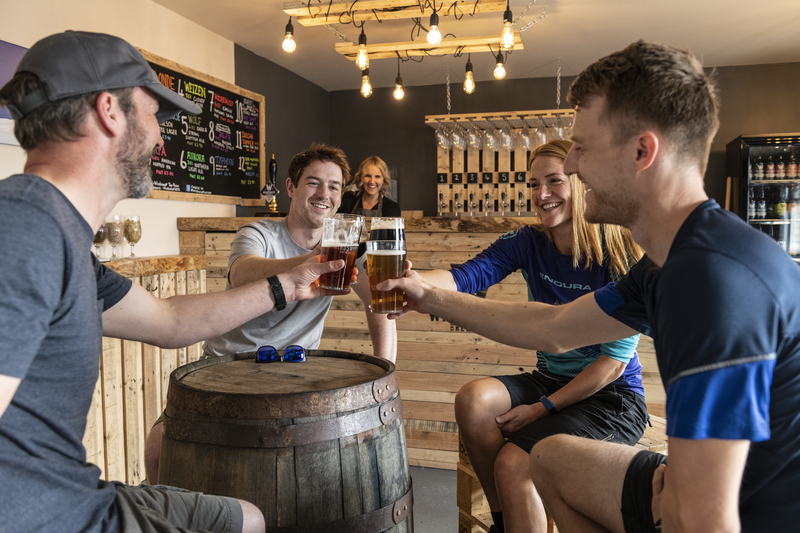 In Scotland’s Year of Food and Drink we released four seasonal beers, AURORA, MAROONED, WEREWOLF and BEAR, all of which still feature in our annual brew plan. This was a busy year for awards with six of our beers receiving Great Taste Awards. In October we had an exciting night at the Highland & Islands Food & Drink Awards claiming the Best Drink Award for our core range, the New Product Awards and the Overall Excellence Award. To cap the year off, WEIZEN improved on its first showing bringing home a SIBA Regional Gold Medal in November. Exports continued to grow with ventures in to Italy, France, Switzerland, Sweden and Denmark. Back at home we were steadily growing our local customer base and expanding our network of distributors to reach across the UK. Time to expand again! With an eye on how we can continually improve the taste and quality of our beers, we decided to invest in a new bottling line and four new conditioning tanks. 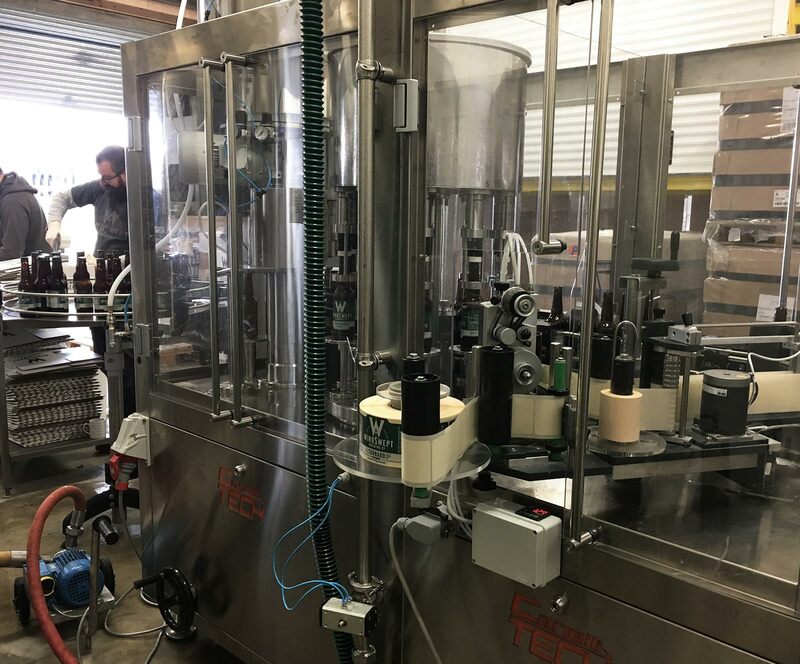 This meant we could minimize filtration and mechanical intervention, and bottle condition all our bottled beers. We also started producing keg beer in 20L Keykegs which we launched along with our classic Scottish stout 1806 and THE WOLF OF GLEN MORAY PORT CASK at Craft Beer Rising in London in February 2016. This year we were lucky enough to sponsor the Tiree Wave Classic, the longest running professional windsurfing event in the world. Great Taste winners this year were WEIZEN and THE WOLF OF GLEN MORAY PORT CASK. The IWSC’s inaugural Beer Awards recognised six of our beers including a coveted 5-star award for BEAR. The Scottish Beer Awards also launched in 2016 adding Exporter of the Year to our accolades. 2017 has beer a year of new beers with the brewery team creating six new brews to tempt you. January saw the launch of CLAVIE, a 5.5% Smoked Porter, closely followed by MACROBERT’S REPLY, a classic British ale to commemorate the disbandment of XV Squadron. 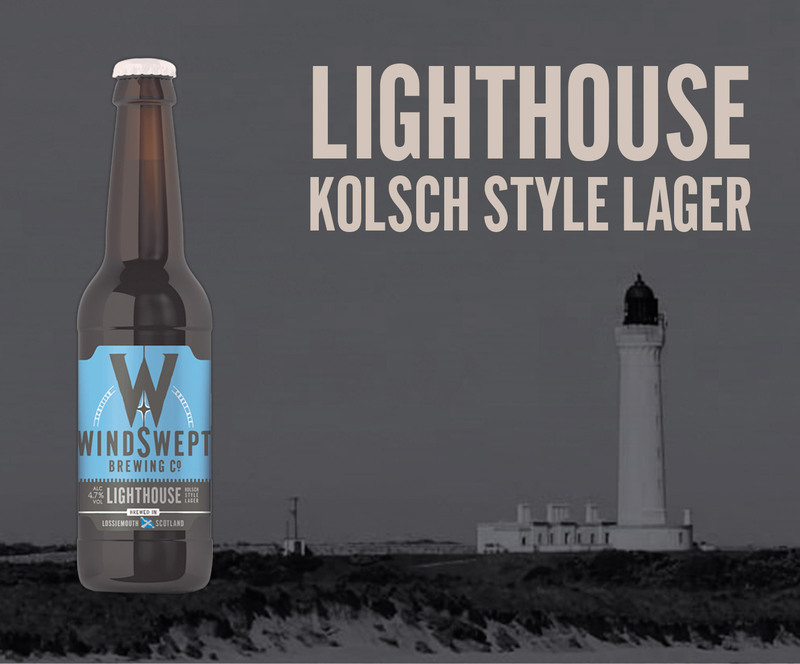 Our Kolsch style lager LIGHTHOUSE launched with our new website at the beginning of May. The next few months saw the return of some old favourites so it was November before we set free RUDOLPH the red-nosed rye beer, and #001, the first of our experimental UNCHARTED SERIES, a raspberry cask aged dark beer. And finally on the 1st of December we released CHINOOK, an 8.4% Double IPA to celebrate our 5th anniversary. 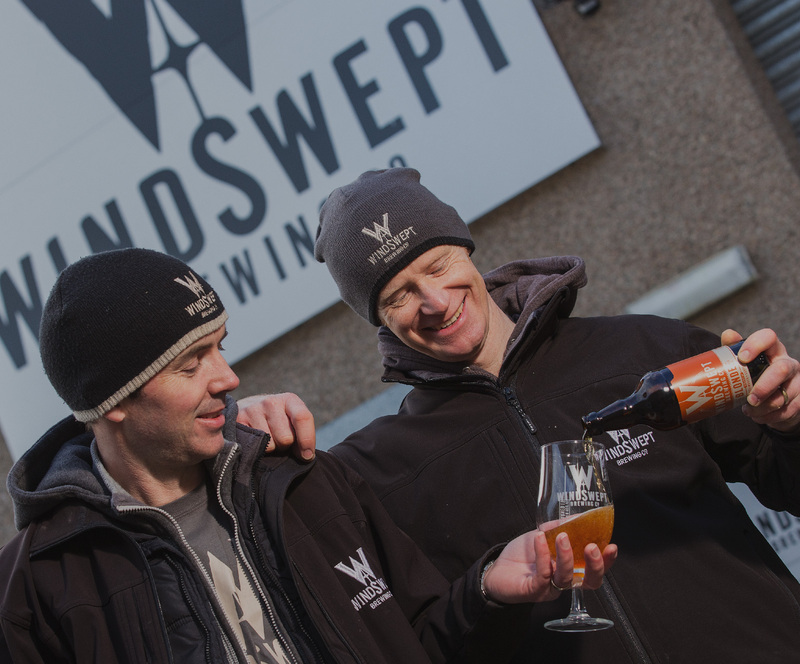 Today Windswept is producing 15,000 pints of beer a week and exporting to six different countries but the team still retains its family feel bound together by a love of the great outdoors and brewing great beer. 2018 was big for Team Windswept. 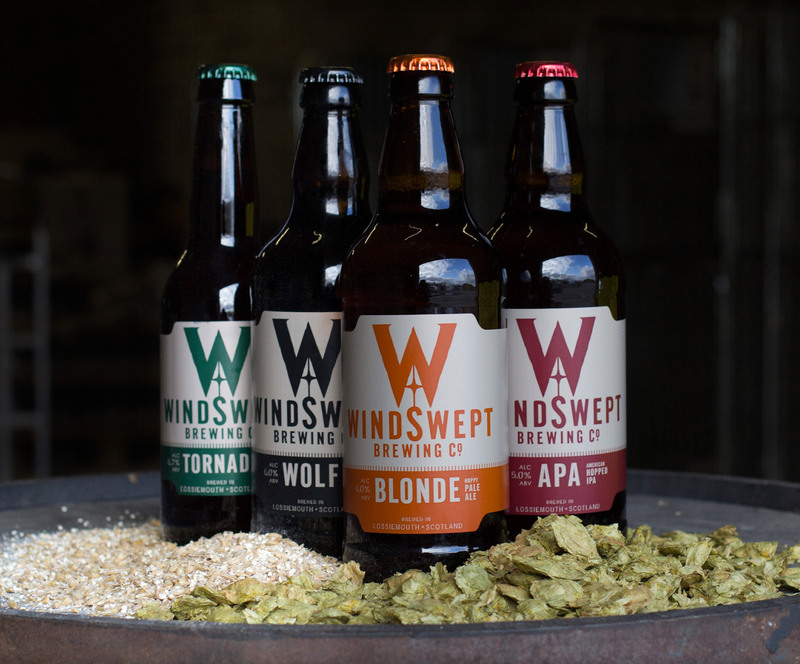 The opening of the Windswept Tap Room in June was a huge step for the brewery and it has proved extremely popular with our customers. It has become a fun, relaxed place to drop in and enjoy great beer as well as delicious coffee and cakes). It also is the perfect place to host our tours and events. The brewery team has been been very busy too with lots of exciting developments. First up was a local collaboration with Speyside Coffee Roasting Co. to develop our COFFEE PORTER in February then closely followed in spring with a new seasonal beer GRISETTE, a light, refreshing saison. We also marked the RAF centenary year by developing HURRICANE, which gives 5p on every pint sold to the RAF Benevolent Fund. We then welcomed a winner of The Institute of Brewing and Distilling (IBD) Scottish Home Brew Competition and Exhibition who developed with our brewery team REALEZA EXPORT, a rich, smooth dark ale. In the summer we launched RUBUS, a raspberry saison, as well as an Earl Grey Tea beer, INDIAN SUMMER. Our usual favourites still appeared throughout the year and WOLF continued to impress in many competitions with Gold awards from SIBA and CAMRA. All in all another exciting year for Windswept Brewing Co.